New York & Oxford: Oxford University Press, 1997, Hardback in Dust Wrapper. 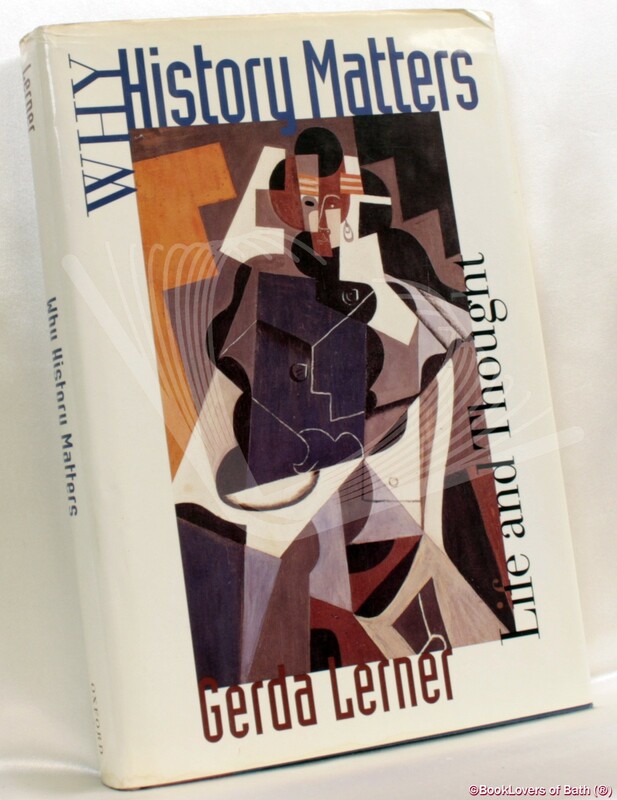 Why History Matters contains some of the most significant thinking and writing on history that Lerner has done in her entire career — a summation of her life and work. The chapters are divided into three sections, each widely different from the others, each revelatory of Lerner as a woman and a feminist. We read first of Lerner’s coming to consciousness as a Jewish woman. There are moving accounts of her early life as a refugee in America, her return to Austria fifty years after fleeing the Nazis (to discover a nation remarkable both for the absence of Jews and for the anti-Semitism just below the surface), her slow assimilation into American life, and her decision to be a historian. If the first section is personal, the second focuses on more professional concerns. Included here is a fascinating essay on nonviolent resistance, tracing the idea from the Quakers (such as Mary Dyer), to abolitionists such as Theodore Dwight Weld (the “most mobbed man” in America), to Thoreau’s essay Civil Disobedience, then across the sea to Tolstoy and Gandhi, before finally returning to America during the civil rights movement in the 1950s. There are insightful essays on “American Values” and on the tremendous advances women have made in the twentieth century, as well as Lerner’s presidential address to the Organization of American Historians, which outlines the contributions of women to the field of history and the growing importance of women as a subject of history. The highlight of the final section of the book is Lerner’s bold and innovative look at the issues of class and race as they relate to women, an essay that distils her thinking on these difficult subjects and offers a coherent conceptual framework that will prove of lasting interest to historians and intellectuals. Size: 9½" x 6¼". Red Spine Strip with Blue boards with Gilt titling to the Spine. [XVII] 249 pages.